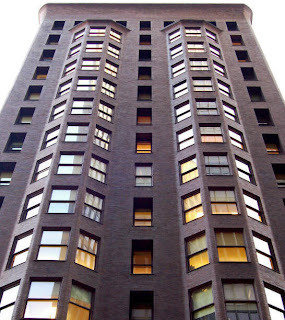 The Monadnock Building was designed by Frank Lloyd Wright and was finished being constructed in 1893. This is an office building and was the largest office building in the world when its construction was finished. The design of it is very simple, yet very powerful. The curves and design of the building are believed to be the beginning of modern architecture. This building is a great example of new technology that was introduced in the 19th century. Every room in the building has an oak and glass entrance. The most noticeable innovation in the building, however, is the large windows. The side windows open up, allowing cross ventilation. Also, a lot of light is able to enter into each room in the Monadnock Building because of the size of the windows.